Happy New Year! 2019 promises to be an exciting year for us as we welcome a new governor, a new Congress and a whole lot of uncertainty. There will be challenges, but also many opportunities. My focus for 2019 will be to start working with all of you on creating a strategic plan for CCHS that will help guide our path into the future. I will share more about that with you as the process gets started. I look forward to seeing what great things we can accomplish together in the coming year! Contra Costa County celebrated the 20th anniversary of its groundbreaking Industrial Safety Ordinance (ISO) with a disaster-free January – exactly what the Board of Supervisors had in mind back in 1999. After decades of catastrophic fires and toxic releases that killed workers and polluted communities, Contra Costa's heavy industry facilities faced public and political pressure during the 1990s to improve safety and communicate better with their neighbors. 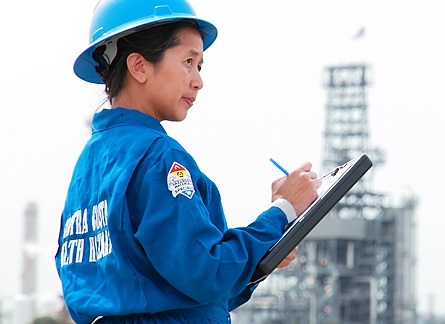 The ISO, ratified in January 1999, was the local law that brought oil refineries, chemical plants and refinery union representatives together with county regulators to not only review and improve after incidents, but to address the fundamental business and workplace practices that caused them. It created a legal mandate for oil refineries and other large plants to create safety plans, submit to regular audits and demonstrate to county regulators how they were improving workplace processes to make them safer, both for workers and the surrounding communities. Over 20 years, it helped to change their workplace culture, Contra Costa Hazardous Materials Chief Randy Sawyer said. It also dramatically reduced the frequency of large, dangerous fires and releases. There hasn't been a release from a regulated facility with major off-site impacts since 2012. "The success of the ISO can be attributed to the changes the ordinance required and the culture change that occurred in the regulated facilities," Sawyer said. "What was at one time okay is no longer okay." Now Contra Costa's ISO is considered a model policy. The state of California and communities around the U.S. have adopted versions of it to help navigate their own relationships with local heavy industry. A full-time outreach team from the Division of Health, Housing and Homeless Services (H3) is now connecting with passengers who need services at Bay Area Rapid Transit (BART) stations and trains in Contra Costa County. 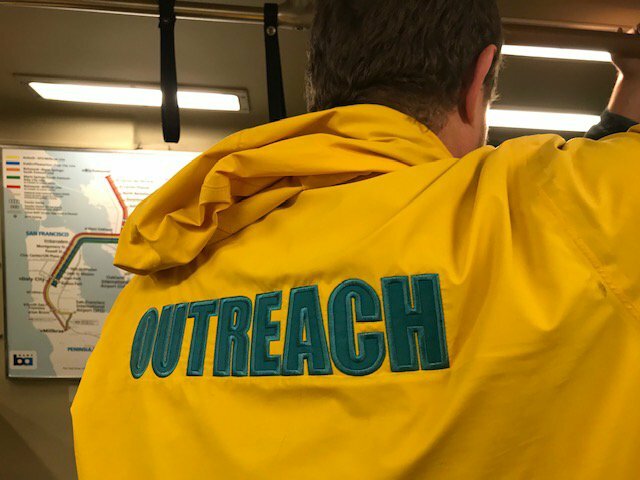 The partnership with BART began this month, with a two-person Coordinated Outreach, Referral and Engagement (CORE) team working overnight on weekdays along the Antioch and Richmond BART lines. BART agreed to fund the cost of the team, which is managed by H3. CORE builds relationships with people experiencing homelessness to connect them with shelter and local CARE Centers where they can access medical and mental health care, housing navigation, substance use disorder treatment and other services they need to improve their lives. The transit agency receives frequent complaints about people without shelter sleeping on trains. During its first week on the job in January, BART CORE connected with 15 new clients and helped 12 of them find beds at local emergency shelters or space at the warming center. "CORE helps us to identify individuals and families who are living on the streets or in their vehicles and connects them with the services they need quickly," H3 Director Lavonna Martin said. "That builds trust, and trust leads to more opportunities to help that individual or family transition out of homelessness." H3 now fields nine CORE teams in Contra Costa, partnering with several cities and local districts to provide outreach services to county residents experiencing homelessness. 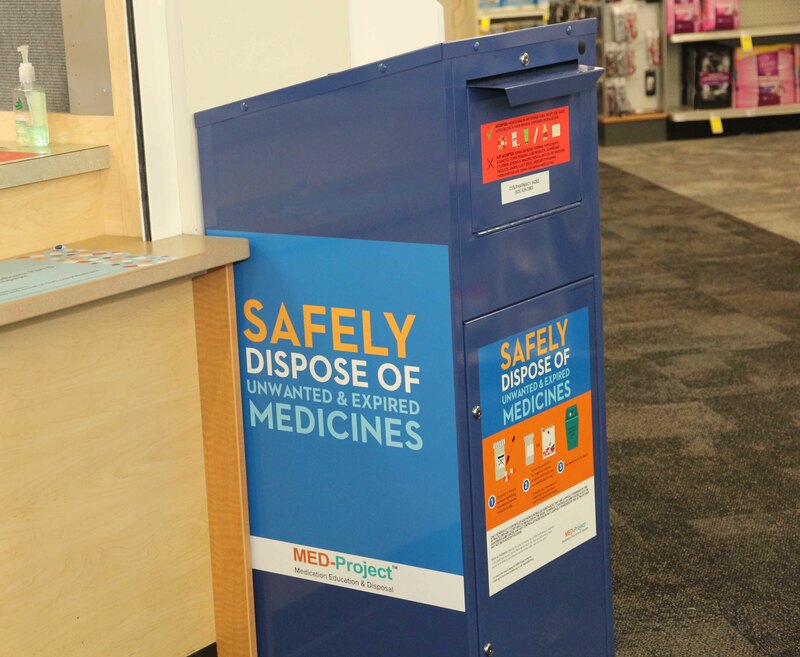 Contra Costa residents with unwanted prescription medicines can safely dispose of them at numerous CVS Pharmacy locations throughout the county thanks to new, secure drop boxes added through the county's Safe Drug Disposal Ordinance. The drop-box service is free, secure and confidential. The medications can be disposed of at the sites even if they weren't purchased at CVS. Most medications are accepted in their original containers or in sealed bags. Drugs and packaging placed in drop boxes will be safely destroyed. In addition to CVS Pharmacy locations, 10 Kaiser facilities in Contra Costa also have the drop boxes. The ordinance, passed in December 2016, requires pharmaceutical drug manufacturers to provide collection services for unused drugs, to protect the environment and prevent accidental poisonings or intentional misuse of drugs such as prescription opioids. Making the drop-boxes actually available took time because Environmental Health staff had to identify pharmaceutical manufacturers and work out a plan with them. Visit cchealth.org/safe-drug-disposal for more information about the ordinance and a link to a searchable database of Contra Costa locations with drop boxes. After six years as director of our successful Family Medicine Residency Program, Dr. Kristin Moeller will be leaving her post in June 2019. During her time as director, the program was named one of the top 10 family medicine residencies in the U.S. by Doximity for four years. 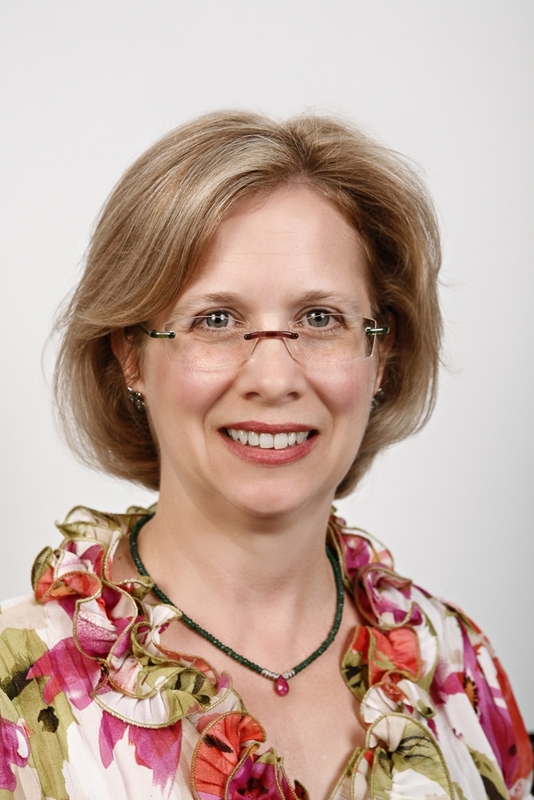 She has helped create core teaching faculty roles, instituted protected weekly didactic education time, and reinvigorated the focus on primary care community medicine with an emphasis on inclusion, diversity and equity. She will have been involved in graduating 95 trainees. "Dr. Moeller has done a fantastic job of structuring the program to successfully take on new and future challenges," Chief Medical Officer Samir Shah said. A national search to replace Dr. Moeller is in progress, Dr. Shah said. Contra Costa Regional Medical Center (CCRMC) is now offering clothing and food to homeless patients being discharged from the hospital as part of a new "Discharge with Dignity" campaign. 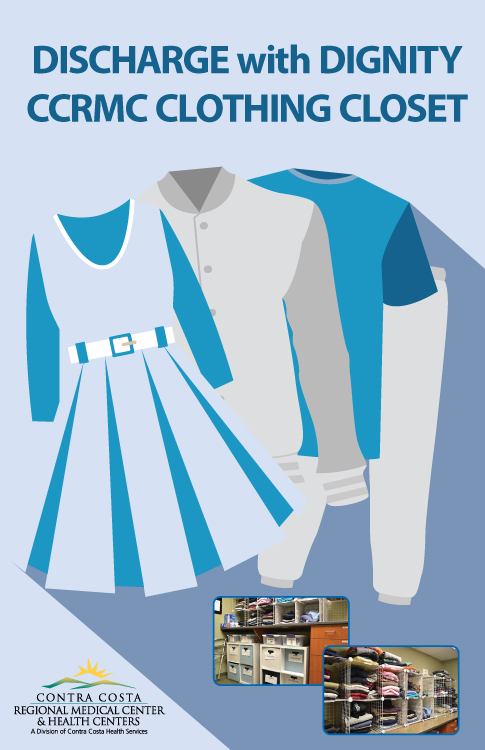 As part of the Discharge With Dignity campaign, CCRMC has created a "clothing closet" with donated items that can be given to homeless patients when they leave the hospital. The options include jackets and other weather-appropriate clothing when needed. Homeless patients are also offered a meal before they leave, which they can eat onsite or take with them. The hospital pharmacy will also supply them with any medications they may need. Before homeless patients leave the hospital, CCRMC staff work with them to identify places they can go, such as shelters. Homeless patients can get free transportation to post-discharge destinations within 30 miles of the hospital. A new state law requires that CCRMC and other hospitals take into account the unique needs of homeless patients in discharge planning. While CCRMC had already been doing much of this specialized discharge planning previously, the hospital has used the law to reinforce and formalize its practices. If you are interested in supporting the cause, the hospital needs donations of new/gently used tennis shoes (no children sizes). Shoes can be dropped off at the hospital gift shop M-Th 9-4 or Fri. 9-Noon. If you have questions, please contact the Volunteer Office at 925-370-5440 for more information. Patients visiting our health centers are now being regularly screened for hunger when they come in for their medical appointments. At intake, patients are given a form that asks if they have been unable to afford food or have been worried about running out of food. 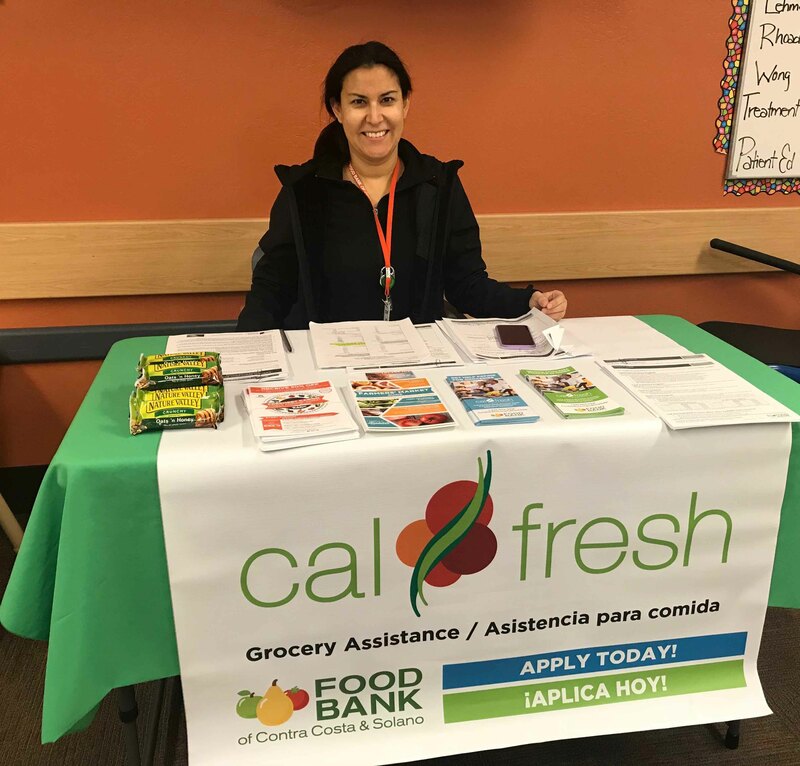 If patients mark "yes" to any of the food insecurity questions, they are given a referral to the Food Bank Contra Costa and Solano, which then helps those patients sign up for CalFresh (food stamps). "We know that food insecurity is linked to poor health outcomes," said Dr. Michelle Wong, head of our Integrative Health Program. "By rolling out universal food security screening at all clinics with an immediate referral to the Food Bank, we are showing our system recognizes food security as vital to patients' health." The universal food-insecurity screenings are part of a broader "food as medicine" campaign at CCRMC & Health Centers to address other factors in people's lives that impact health besides disease. In recent years, CCRMC/HC has begun incorporating wraparound services for food security and healthy eating – from free weekly assistance with CalFresh sign-ups to offering free produce in clinics to teaching patients how to cook and eat healthier on a budget through group medical visits. After a successful pilot, the food-insecurity screenings – also known as "hunger vital signs" --started systemwide at all our health centers in December. Food Bank representatives are regularly onsite at various health centers and can often provide immediate assistance following medical visits. For more information, contact Dr. Gabriela Sullivan at Gabriela.Sullivan@cchealth.org. 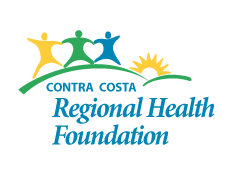 The Public Health Immunization Program recently partnered with Contra Costa Health Plan (CCHP) to improve Human Papilloma Virus (HPV) vaccination rates in preteens and young adults. During the summer and fall, the Immunization Program led a series of outreach efforts throughout CCHS to educate providers on the benefits of HPV vaccination, CDC vaccination schedules, and current vaccination rates. Information on HPV vaccine was also included in the fall CCHP member newsletter. Parents of members turning 12 will also now receive a "happy birthday" letter with information about all adolescent vaccinations. Sharing strategies to reframe HPV vaccination as cancer prevention and make an effective recommendation to both patients and their parents has been a key component to this initiative. It seems to be working: between July and December 2018 the number of eligible patients getting their care at Contra Costa Regional Medical Center & Health Centers who had not yet initiated the HPV vaccine series dropped from 45 to 35 percent. Results from this partnership were selected to be shared at the California Immunization Coalition Summit this April. In 2019, outreach efforts will be focused on improving vaccination at clinics in CCHP's Community Provider Network. Every year in the United States, HPV causes 33,700 cancers in men and women, including mouth and throat cancer and cancer of the reproductive organs. 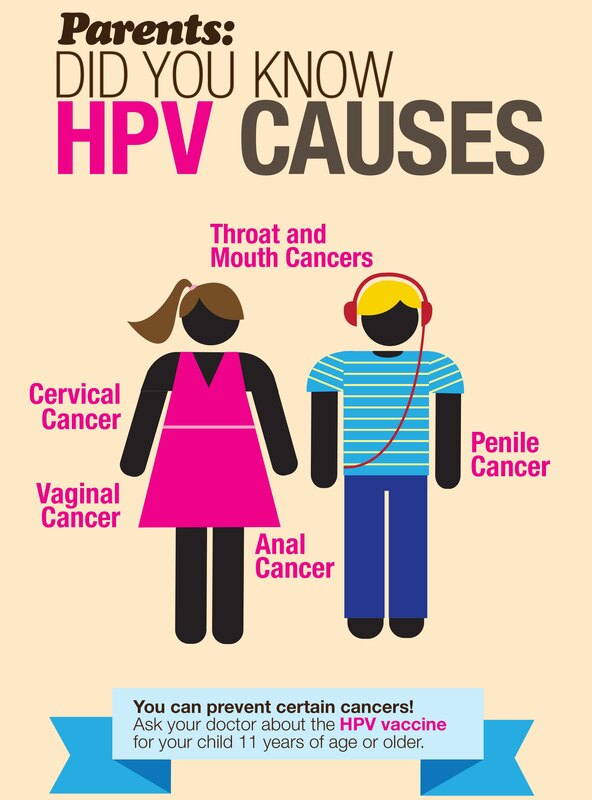 HPV vaccination can prevent most of the cancers from ever developing. 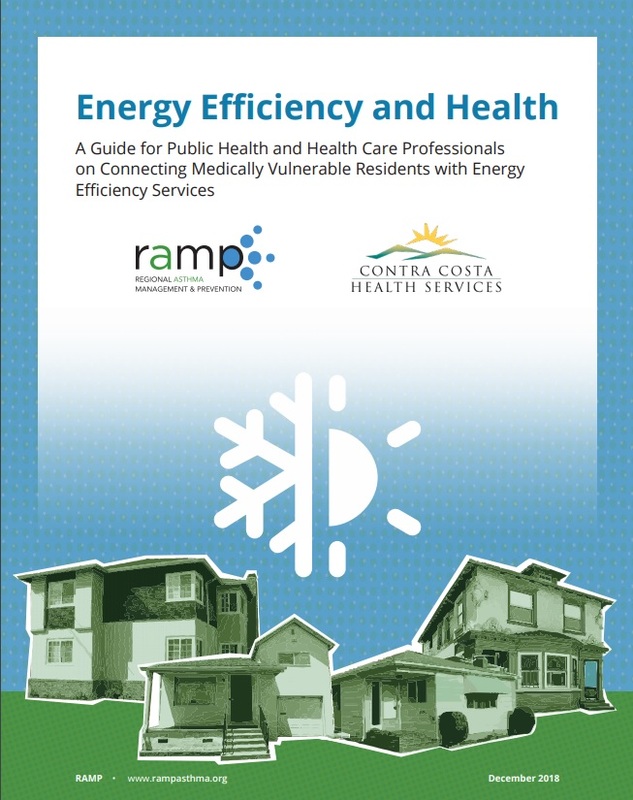 A new report from CCHS and Regional Asthma Management & Prevention (RAMP) will help public health and healthcare professionals connect clients and patients with free weatherization and energy efficiency programs. The report, developed with support from the California Department of Public Health's Office of Health Equity, also lists an array of free energy efficiency services available in California, including eligibility criteria. 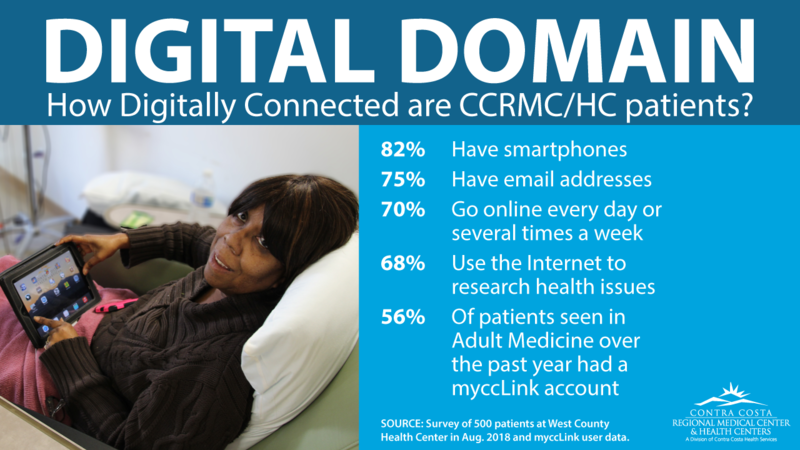 CCHS and RAMP are making the report available to community partners and healthcare providers to use as a resource-connection tool. Any legislation that would penalize members of our community for seeking essential services like health care is alarming because we know that the health of each of us is tied to health of all of us. In September of last year, the Department of Homeland Security announced proposed changes to the public charge rule that would penalize documented immigrants for using public programs like Medi-Cal, SNAP and some housing vouchers. To date, we await the final outcomes of the proposed rule changes. As trusted health care professionals we want to ensure our community is receiving the most accurate information available and that our staff know where to access credible information. Recently we worked with a community partner to provide public charge 101 training to our Health Equity Team. A video of that presentation is available on iSITE. We also had staff trained to be able to provide this same training to CCHS employees. 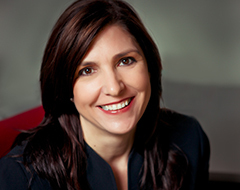 You can request training by contacting Socorro Padilla at spadilla@cchealth.org. Community members can visit our website for information in English and Spanish. In addition to giving out grants, the Foundation offers grant-writing assistance and serves as fiscal manager for several programs. To learn more about the Foundation and how to donate, please visit ccrhf.org. 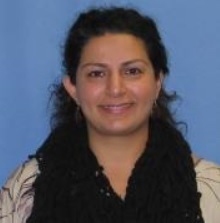 A big congratulations to physical therapist Mahsa Modarres for recently winning a 2018 Northern California Clinical Education Consortium's Clinical Instructor of Excellence Award! Mahsa works in the California Children's Services (CCS) Medical Therapy Program, which provides medically necessary occupational and physical therapy services to children from birth to age 21 years. As part of her job, Mahsa serves a clinical instructor to student interns at CCS learning to become pediatric physical therapists. "We are very grateful for Mahsa's dedication to the children served in our program and for her efforts in teaching future pediatric physical therapists," said Krista Peterson, CCS program manager. Mahsa was nominated for the award by a representative from Samuel Merritt University's Doctorate of Physical Therapy Program. 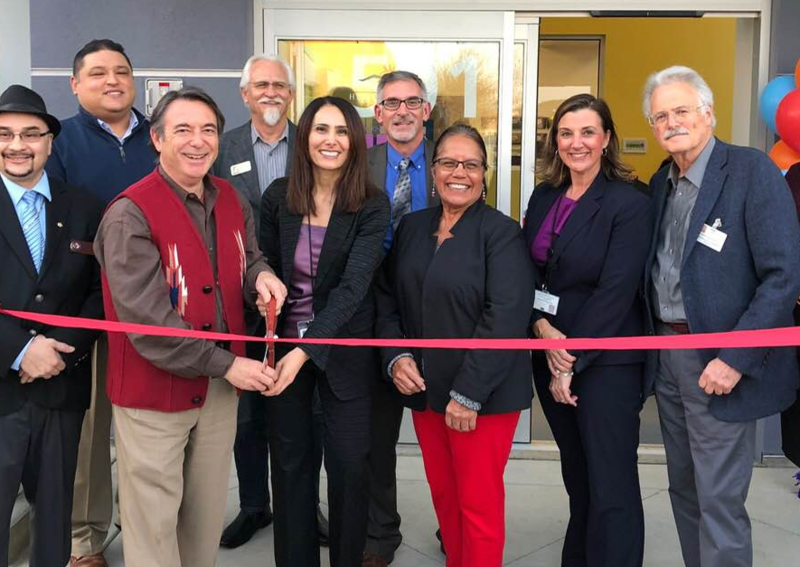 Supervisor John Gioia (holding scissors) and former San Pablo Mayor Genoveva Garcia Calloway joined dozens of CCHS staff and community members in November for the grand opening of our new WIC facility in West County. The new 7,500-square-foot facility replaced the aging WIC office in Richmond. WIC is a federally funded supplemental nutrition program that helps pregnant and postpartum women, infants, and children up to age 5 have a healthy life style. To learn more about WIC, visit cchealth.org/wic.